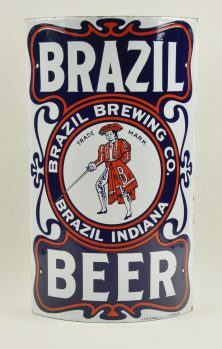 Single sided curved porcelain corner sign for Brazil Beer by the Brazil Brewing Co of Brazil Indiana. 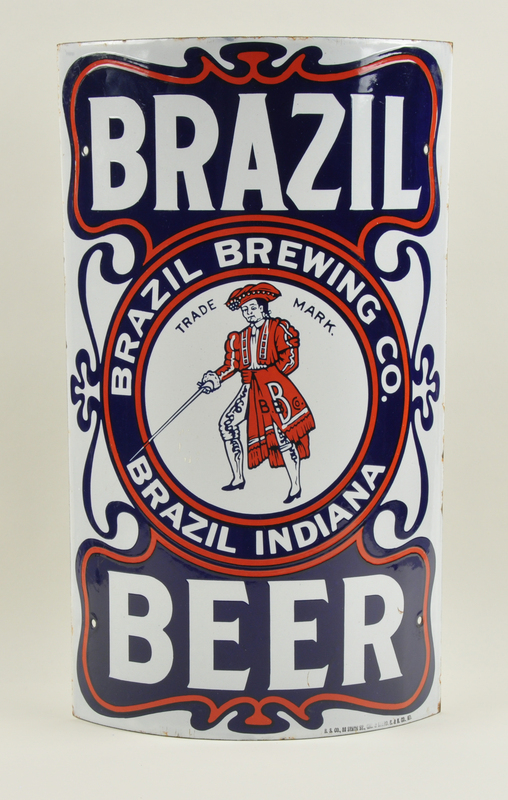 This brewery is only listed as operating from 1901-1907 so for a short lived brewery this sign has great graphics. This incredible piece has fantastic colors with top notch central vignette of a swordsman who has B.B.Co. lettered on his uniform and art nouveau style curved borders. 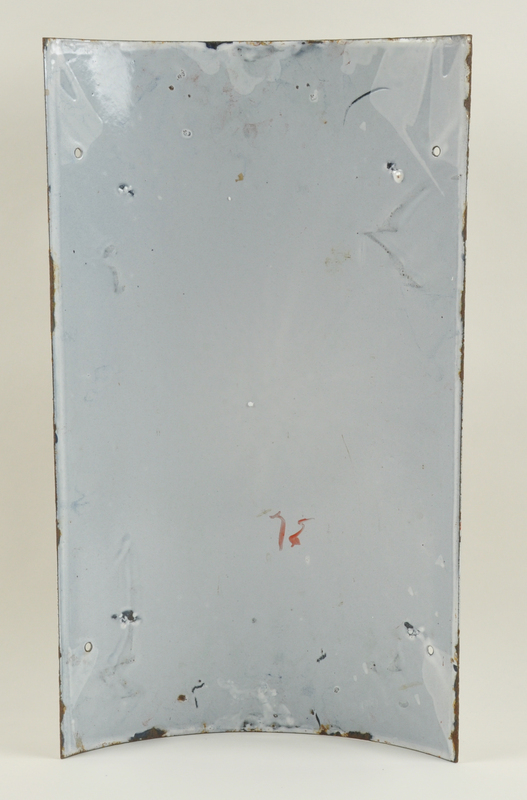 Condition on this sign is near mint with really sharp color and gloss, there are a few small imperfections on the surface but you couldn't ask for a much prettier sign. Marked on bottom right corner B.S. CO., 52 STATE ST., CHI. & BALTO. E. & N. CO., MD. 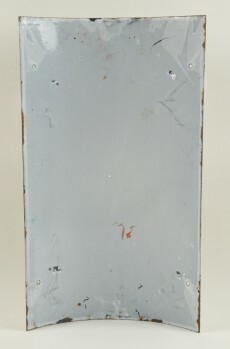 Size: 11.25" x 20"